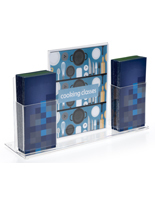 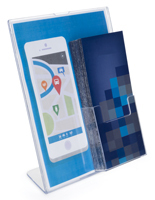 Media Size: 8.5" x 11" / 11" x 13"
8.5" x 11" / 11" x 13"
The plastic tabletop pamphlet holder is able to display two types of literature at once. 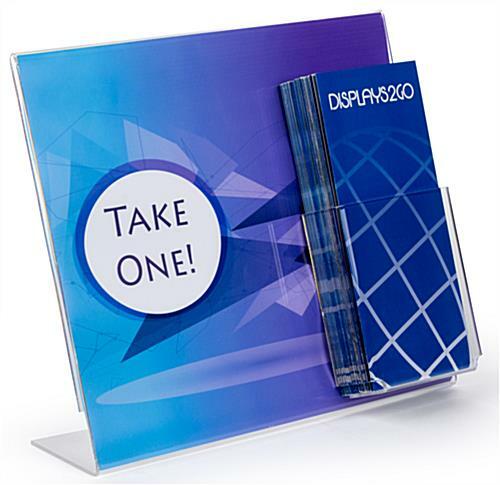 There is an 11”h x 13”w acrylic sign fixture that will also hold 8-1/2” x 11” signs with a full view of images. 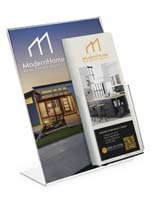 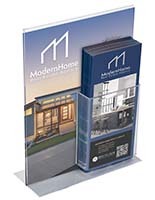 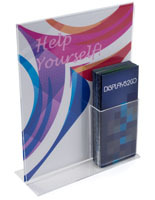 The pamphlet holder has a clear pocket attached to the literature display that fits 4” wide tri-fold brochures. 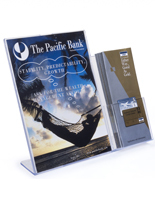 The acrylic sign when displaying the larger sign size will be slightly obscured by the small front compartment. 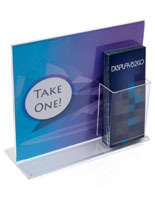 The holder is used by businesses, schools, and retail stores to distribute important information to students or clients. 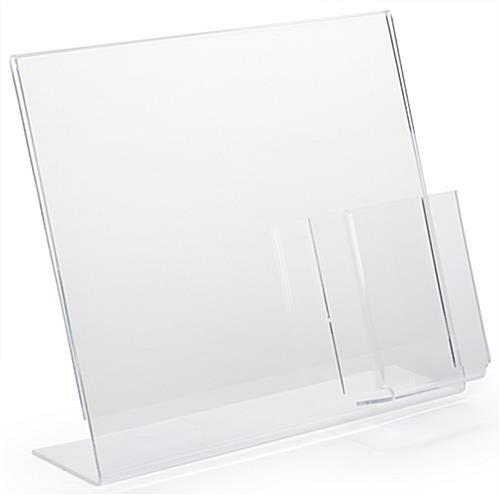 The pocket and frame are slanted so that they offer better views to those looking at them. 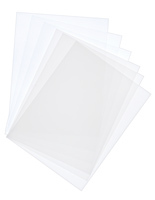 4.0" x 5.5" x 1.8"
8.5" x 11", 11" x 13"